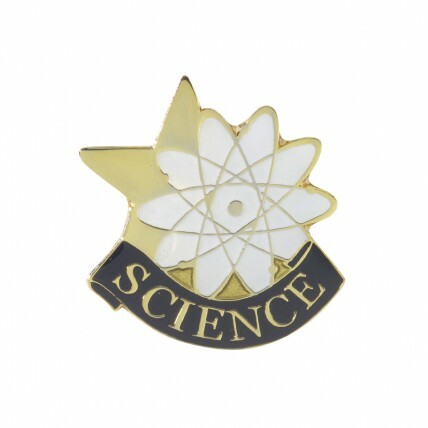 Featuring an image of an atom and an orbital cloud the Science Lapel Pin is the perfect award for any aspiring scientists. This dramatically-detailed pin has a beautiful gold, black and white finish. The pins are just the right size for a lapel, backpack or jacket, and come in a transparent presentation box.